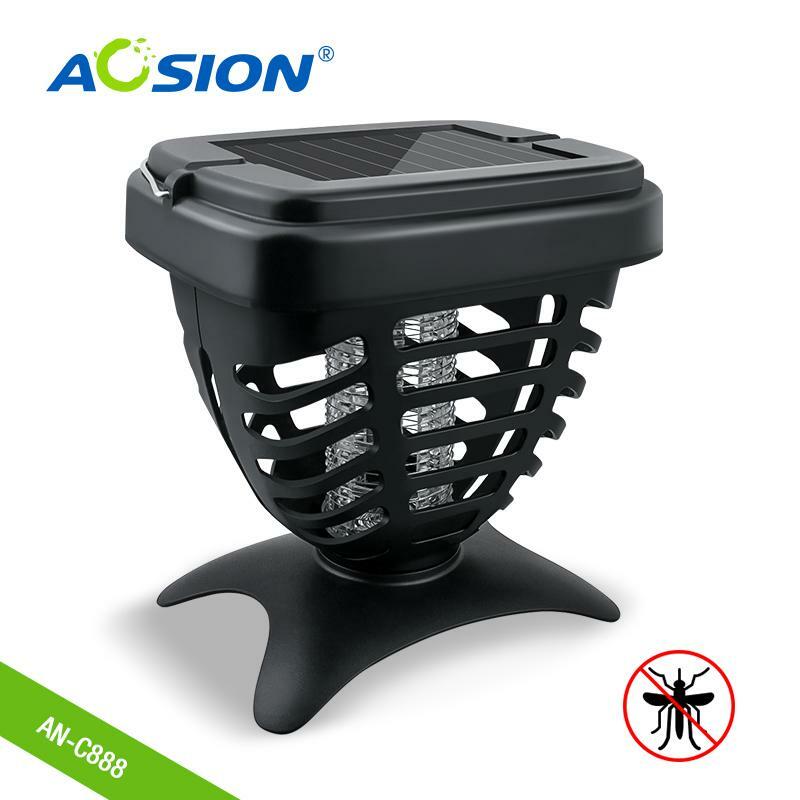 This Solar Powered Insect Killer works by attracting the insects and mosquitoes with a UV LED light. This light draws them into the high voltage grid which kills them. Powered by rechargeable battery, which is charged by solar panel built in top of the device. 1.The device is powered by solar energy, Economical to run and environmentally safe. 3.The solar insect killer can be placed wherever it is needed, it comes with a stand to allow it to be placed down on a flat surface, three ground spikes to secure it in soil, and also with a metal handle that can allow it to be hung up. 4.Solar Insect Killer equipped with two LED lights: one white and one purple; UV light is to attract insect, white light is for illumination. 5.LED lights attract mosquitoes, bugs and other insects into a high voltage grid, which then kills the bugs instantly. 6.It is portable enough to travel out to camping locations or to an outdoors event anywhere.